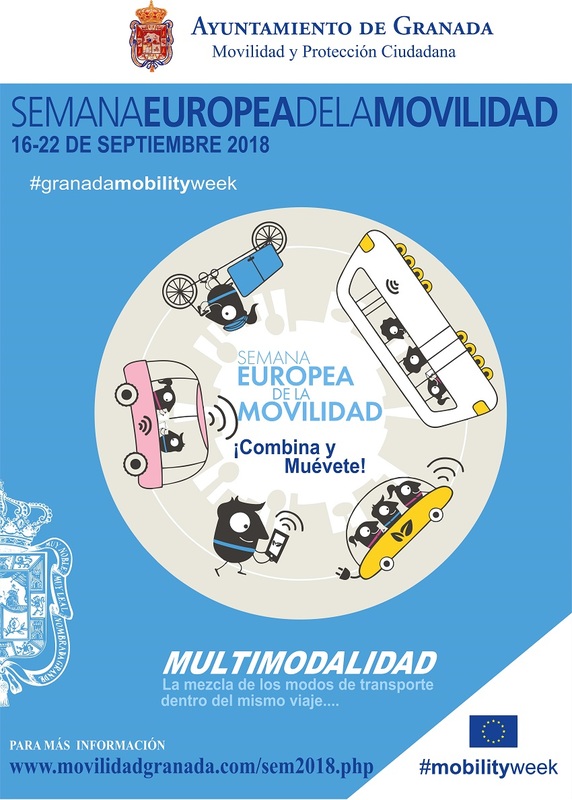 Granada celebrates the European Mobility Week with more than sixty activities planned by the City Council from 16 to 22 September. Check all info about European Mobility at this website SEM2018 or download the programme of activities on PDF. Granada celebrates one more year from 16 to 22 September the European Mobility Week that, under the slogan Combine and move pretend to arise conciousness on citizenship about the negative consecuences of irrational use of car in the city and show benefits of other means of transport more substainable like bicycle, public transport or foot displacements. Mobility Councellor, Raquel Ruz, has explained, during the presentation of activities planned by the City Council, that the slogan chosen this year by the European Commision is focused on multimodality, and it is an invitation to citizenship to combine different means of transport in urban displacements of people and goods, to achieve more efficiency, speed, saving and respect of the environment. As an innovation, the councellor has announced that, this Sunday, 16 September, restarts project Cars Free Sundays that the City Council launched as pilot experience last June on the Environment Week that is being revisited . On 16 will be the first car free Sunday in this programme and to this end we have been planned some activities in Recogidas Street, that will be cut to traffic from nine in the morning to three in the afternoon. There will be police dogs exhibitions and fire engines and sport and leisure activities, swing dance, bicycle races for kids, electrical bikes, craft market or ecomarkets, said Raquel Ruz, all these to arise conciousness on people that improving air quality, we improve quality of life of people.. 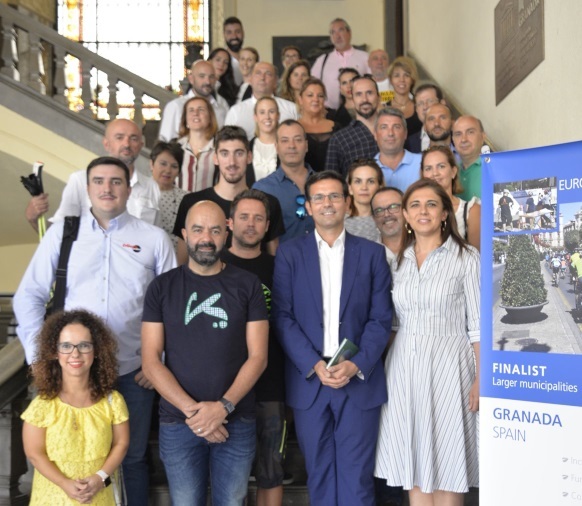 In this sense, Mobility Councellor, tht has remarked the current commitment of government team with environment, has remembered that the city of Granada was last year, togheter with Vienna and Prague, finalist of the European Mobility Week awards in Larger Cites category. To compete with those cities that have a great tradition of use of public transport and alternative transports, was a complete success, said. This year, Ruz has explained a large programme of activities where have cooperated almost thirty companies and associations of the city. On Sunday people can enjoy free bus and Light Rail, using the Metropolitan Consortium Card, the green card, as the councellor said. And on Wednesday, in cooperation with parking Los Cármenes, have achieve an agreement by which, users with private vehicle from six in the morning to midnight, will have a 50 per cent discount, and using that very same card will be able to use public transport, urban bus and Light Rail for free..
Also, furing all week will be different activities in different areas of the city, as a nordic march workshop, some days of pedibus, accessible routes, american football exhibition or bicycle routes, among them Raquel Ruz has pointed out the cross-generational route on Saturday 22,where people from different generations can enjoy travelling around Granada. This activities are part of sixty initiatives planned to arise conciousness on citizenship about the necessity of encourage a more gentle city that improves quality of life of people, has cended. 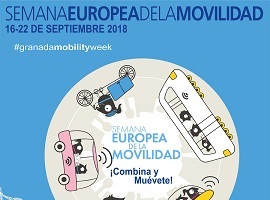 Check all info about European Mobility Week at this website SEM2018 or download the activities programme on PDF.